While everyone is worried about buying just the right gift for everyone on their football field-length list and afraid of putting more junk into their trunk, I get cookin’. Avoiding the retail circus and focusing on nourishing the people I love with special attention to creativity in the kitchen is the think I crave the most and trading out empty calorie treats for fresh, seasonal produce desserts is how I keep it cleaner. To counter act the effects of one too many cookie exchanges, friends and family walk away from the table without feeling so guilty. After all, we love pears but we don’t need to take on their shape. So when I received a reusable bag full of unique specialty fruit from my friends at Coast Produce for their Holiday Recipe Challenge , I had a permagrim the whole way home, wheels turning on how to put it to good use. I love the simplicity of fresh fruit, raw and unadulterated. After all, though, this was a challenge and another great excuse to get my festive game on. With a combination of red pears, Asian Pears, finger sized baby bananas (I had to hide these from everyone, they’re so darn cute), chestnuts and green apples, I had a crunchy, sweet and nutty symphony in my hands. Reminds me of someone I know. A sample of the fresh seasonal goodies that come to your doorstep from Coast Produce. Before I got to work, I recruited my 9 year old daughter to give everything a good cleaning with the Eat Cleaner Wipes they provided (Whoever came up with those Wipes is a sheer genius!) to remove any bacteria, wax or residue. Once we had all of the ingredients prepped, it only took fifteen minutes to get dessert on the table. Just call me the Hostess with the Coast’ness. Method: Core 3 red pears, 1 Asian Pear and 3 Roma, Pink Lady or Honeycrisp apples. Dice them into uniform 1/2″ squares, and spritz with our Eat Cleaner Fruit + Vegetable Wash to keep them from browning. Place in a medium-sized metal bowl and chill in the fridge. Roast a handful of chestnuts in the oven at 400F for about 30 minutes or until shell easily peels away from inner flesh. Let cool before handling, then peel and chop finely. Next, take 1 Cup of your favorite granola (I used an apple granola with walnuts) and toast in a dry saute pan, stirring constantly. Add chopped chestnuts with 2 Tablespoons of butter, ground cinnamon and brown sugar to taste. Place on a baking sheet and let bake for about 15 minutes until light brown. In the meantime, take apple and pear combo and combine in a saucepan with 1/2 Cup unfiltered apple juice, 1 teaspoon grated fresh giner and 2 cinnamon sticks. Simmer for about 5 minutes. Fruit should still retain a little crunch. Remove from heat and let cool. 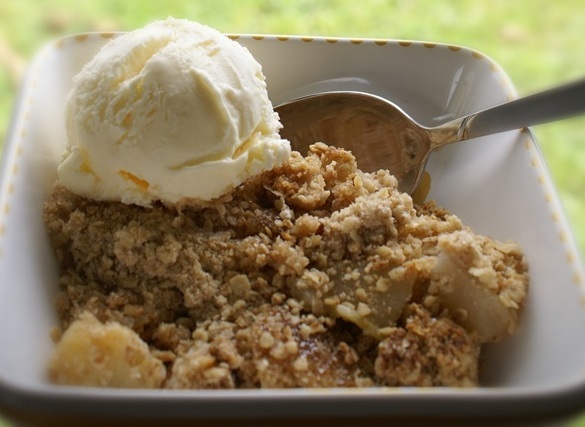 In individual bowls, layer cooked fruit topped with chestnut granola streusel. Top with a dollop of fresh organic whipped cream or organic vanilla ice cream. You could also add slices of those adorable finger sized bananas but we option to eat those a la carte. 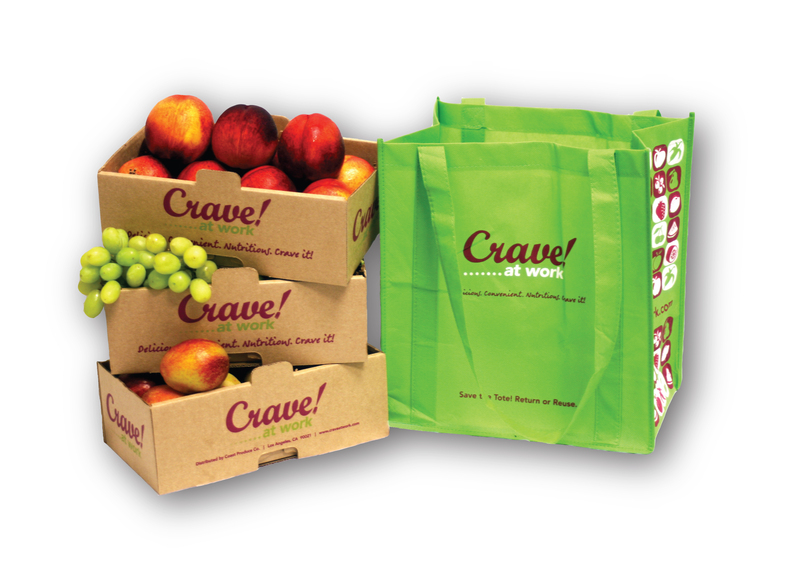 For more inspiration, check out the Coast Produce Holiday Recipe Challenge and find out more about their CRAVE! office delivery program. It’s the antidote to donut mania and a like Christmas every day of the year. Turkey? Check. Fixin’s? Check. Centerpiece? Check. Salmonella? Let’s keep that one off the menu. Being the perfect host or hostess is not just about a beautiful table or delicious food. It’s also about keeping your family and friends food safe – you don’t want to be remembered as the host or hostess who sent their guests to the hospital at the holidays. Every year there are 78 million reported cases of food borne illness – 325,000 hospitalizations and 5,000 deaths. On Thanksgiving day alone, an average of 200,000 people will get food poisoning. Who wants to spend the day on their days praying to the ceramic altar? We’ll pass. The Fit Foody– food and safety expert Mareya Ibrahim of Eat Cleaner has a few simple tricks of the trade to show how to keep the holiday season happy and worry free. – Don’t let fowl go foul: For your main event, taking measures to clean and prep your turkey properly can help your table be Salmonella-free. – Pick and clean fixin’s properly: Before your produce reaches you, it has been touched by around 20 different sets of hands and has traveled at least 1,500 miles. Preparation and handling is key to producing food borne illness-free results. – Cook it done: You can’t always judge a food by it’s color, simple tricks to tell you when your bird is really cooked. – Keep it cool: Don’t let the tryptophan kick in, why it’s important to clean up now rather than later and just how much later. 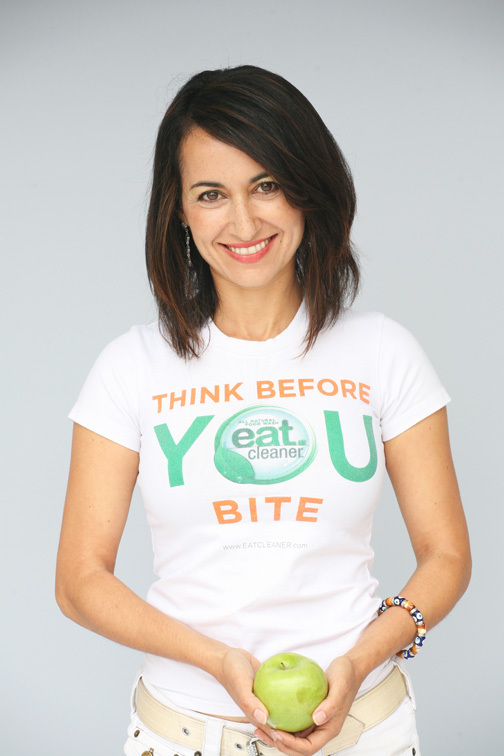 Mareya Ibrahim is The Fit Foody and the Founder of the Cleaner Plate Club. She is a food safety expert and advocate based in Orange County, CA. Balance – that elusive apple pie in the sky. 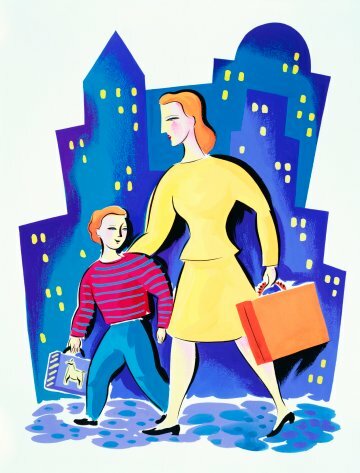 Work, family, friends, exercise, phone calls, emails, soccer practice, walks with fido, drop-offs, pick-ups, party planning…it’s a precarious juggling act. Now that school’s back in session, making it through the year in one piece will require you to keep your family healthy starting with what they put in their mouth. It clicked when I found out my Kindergartner get 10 minutes to eat and my grade schooler gets a whopping 20. If they’re standing in line for 10 minutes waiting in the lunch line, they’re practically jamming food down their gullet and swallowing it whole. If I don’t make every bit count, who will? And did they get to even wash their hands before they eat? The sad reality is childhood obesity has grown to epidemic proportions, literally and figuratively. According to the Center for Disease Control, in the last 30 years, the prevalence of obesity has tripled. It’s not about being heavy. It’s about the chronic disease that can takes years from their otherwise healthy lives – heart disease, liver disease, type 2 diabetes, depression, sleep apnea – this list goes on. It would be very easy to succumb to those non-descript, pre-packed wrapped lunch meals and neon-colored ‘phood’ snacks. But you know better than to slap that super processed, phony baloney onto your kid’s buns. You’ve bought them school supplies. Now get them food wise, starting with what’s for lunch. I mean, white bread and fluorescent snacks are so 1982. Save your wallets and waistlines by getting ahead of the yellow food bus with this 411 on lunchbox fun. Check out our great main events and super sides grown up enough for you AND your kid’s that pack a nutritious punch and take you through the week. Mama tested, kid approved. Veggie Grilled Cheese: Cheddar, red bell pepper and steamed broccoli get cooked between two pieces of sprouted grain bread. Grill in an oil-free pan and use a Panini press and seal it all in for one-handed eating ease. The A+: Most classrooms are peanut free, so opt for almond butter and sliced apples onto a warm sprouted wheat tortilla and fold in half. Give it a quick glow in the pan for a nice nutty flavor. An A+ in our book! You don’t have to ‘sneak’ fruit and veggies into your meals anymore. Earthbound Farm have made getting your delicious daily dose of F+V a snap with organically grown pre-cut produce. Crisp apple slices from the sweetest apple varieties are harvested from premium organic orchards. Each 2oz bag equals about half an apple or one serving of fruit. Mini-Peeled Carrots & Carrot Dippers are an excellent source of vitamin A and other important antioxidant carotenoids, including beta carotene, alpha carotene, and lutein. Plus they’re great for your peepers. Packaged with organic creamy ranch dip. http://www.ebfarm.com/. Most muffins, or what I like to call booty breakfast cake, pack a whopping 400+ calories! All natural Vitalicious VitaTops give you all the flavor without in the kind of muffin top you can cuddle up to. At just 100 calories and a gram and a half of fat each they’re a guilt-free choice for a delicious midday snack or a lunchtime dessert. 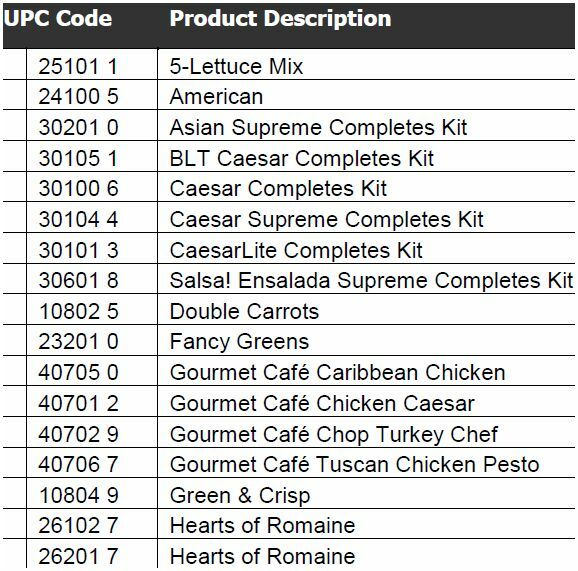 Plus they contain 9 grams of fiber 4 grams of protein. Because they don’t contain any preservatives, keep them frozen and by lunchtime your VitaTop is thawed and ready to eat. Top that! www.vitalicious.com. Here’s the new skinny on crunchy snacks. Pretzel Crisps are a tasty, thin, all-natural flat-baked pretzel and the world’s first spreadable pretzel cracker. At only 110 calories per serving with no trans fats, saturated fat, or cholesterol, they’re packed with fiber and flavor that can handle the dip or stand alone on their own. Deli Style, available in the deli section of stores of course, and Modern Classic varieties. Savory and sweet varieties include Sesame, Garlic Parmesan, Tuscan Three Cheese and Cinnamon Toast (yum, it’s like a churro but without the guilt). Dig in. www.pretzelcrisps.com. The iconic moo cow just puts a smile on your face. Horizon organic single serve milk comes in a variety of flavors – plain, chocolate, strawberry and vanilla – packed with calcium and protein to power through the day. Cheese sticks in both Colby and Mozzarella flavors couldn’t be easier to pack. Horizon Organic believes that the choice for a healthy family and a healthy planet should be an easy one, offering nutritious products for families while supporting 500 family farmers across the U.S. Raised without antibiotics or hormones, happy cows make happy humans. http://www.horizondairy.com/. Fruit is sprayed, waxed, trucked, touched and plucked by over 20 sets of hands. A quick flash through the faucet just ain’t gonna’ cut it. Eat Cleaner Fruit + Vegetables Wipes are a uniquely formulated to kill bacteria, clean wax, pesticides, agricultural dirt and fertilizer from the surface of your fruit to make it safer and healthier to eat. Even fruit with a peel should be cleaned before you remove it. Individually wrapped, slip one into your lunchbox and encourage the kids to clean their hands before they eat, since grimy hands can transmit bacteria. 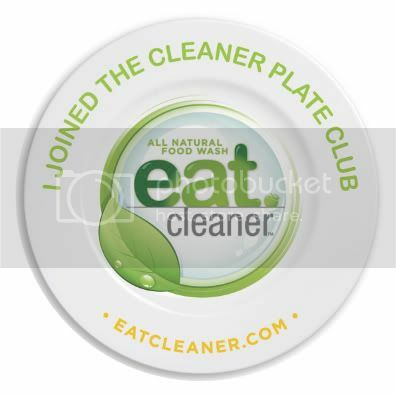 www.eatcleaner.com. – Make a list and buy it twice. Take our tips, make your list and head to the store on the weekend and buy 2 weeks worth of supplies, twice a month so you’re stocked up. Being prepared is half the sanity battle. – Have them do the work. Get kids involved in shopping with you and making their own healthy lunches. The connection to picking and making food builds a foundation for good eating habits and teaches them responsibility. Have them make one for you while they’re at it. It’ll save you $5-10 bucks a day which could go to your vacation fund or a non-profit you’ve been meaning to donate to. – The night before. Prepare lunchboxes the night before and put them in an insulated lunch box to keep them cool longer. Add in an ice-pack if food is sitting for more than 3 hours. – Chemical free is the way to be. Always opt for BPA and thalate-free plastic storage containers. Kid’s Konserve makes a great reusable water bottle and the Bento boxes at Pottery Barn make you want to pick one up for yourself! – Lunch love notes. Slip them a caring, thoughtful note that lifts their spirits at lunchtime and let’s them know you care. That little bit-o-love satiates a deeper appetite and will make them look forward to what’s in the bag. You can get in front of the garbage food bus and protect your plates. When you take the wheel, you help chart their destiny and lead them down the right food lane. Because you better believe, they’re like little sponges absorbing what you dish out. Think you’re allergic to fruit? Think again. 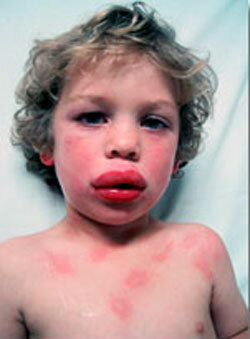 Food allergy or allergy to what's on your food? There’s nothing worse than biting into a big beautiful bowl of luscious strawberries and having your face break out into welts. Life imitating food? In the case of many, allergies to food can be an uncomfortable and even life-threatening situation. But in some instances, the supposed allergy might not be about the food at all, but what it’s been sprayed, coated or handled with. Read this testimonial from one of our customers and let us know if you’ve had a similar situation. “I love my fruits; especially green apples, peaches and plums. However, I have had to proceed with caution when I eat fruits over the last few years because of an allergy to unpeeled fruits I have developed. My reaction was usually mild itching around my lips or in the back of my throat. This summer, however, it appears that I bit more than I could chew–literally, when I had a severe allergic reaction while snacking on a bowl of green apples. 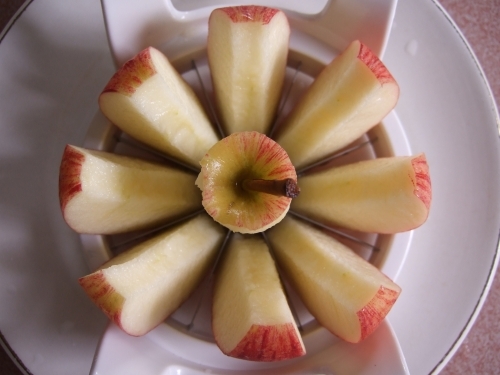 Even though I rinsed the apple before slicing it and eating, it seems that rinsing with water was not enough to get rid of all traces of pesticides on the skin. About 10 minutes after consuming the first 3 slices, my lips and throat began to itch and shortness of breath. I threw out the rest of the apples, washed my face and drank a glass of water, hoping it would alleviate the itching. After nearly 45 minutes of the itching not subsiding, I checked my face in the mirror and was shocked and horrified at the monster looking back at me. My lips had swollen to comical proportions. After scouring the Internet for my symptoms, I came across numerous other horror stories of facial swelling from similar food borne allergies. I finally found a suggestion not to panic and take Benadryl or another antihistamine, then apply ice for a few hours until the swelling went down. After an embarrassing trip to Walgreens for some Benadryl and applying ice overnight, I woke up and felt a little better. The itching subsided and my lips eventually returned to its normal size during the day. I swore I would write off apples and other fruits for good. Also, read this article just featured in the LA Times. Eating a diet rich in fruits and vegetables drastically reduces the risk of ever getting breast cancer and of having a recurrence. Scientists at the University of Hong Kong have just released more research findings adding to the growing pile of evidence that selections from the produce section are the best bet for keeping away this dreaded disease. The association between vegetable and fruit intake and breast cancer risk was evaluated using a hospital-based, case-controlled study. Four hundred and thirty-eight breast cancer cases were matched with an equal number of controls by age and place of residency. Their dietary intake was assessed by face-to-face interviews using a food frequency questionnaire. Multivariate logistical regression was used to estimate odds ratios. People were created to eat fruits and vegetables. Several systems in the body depend on constituents from nature’s garden for proper functioning. One of these is the cell cycle that regulates the growth and maintenance of all living things. During the cell cycle, chromosomes are duplicated, and one copy of each duplicated chromosome is transferred from the mother cell to the daughter cell. Proper regulation of this cycle is critical for the normal development and maintenance of health in multi-cellular organisms. If the cell cycle is not working as it should, cancer and other degenerative diseases may be the result. In a world in which more and more genotoxins are constantly bombarding people, a greater intake of fruits and vegetables is necessary to modulate the effects of deregulation at cell cycle checkpoints and keep the cycle running smoothly creating new cells that are healthy. Up to ten servings of fruits and vegetables each day are now recommended by some health gurus. Scientists from the University of California examined the relationship between plasma carotenoid concentration as a biomarker of fruit and vegetable intake and the risk for a new breast cancer event in 1,550 women previously treated for early stage breast cancer. After 5 years of follow-up, those women with the highest plasma carotenoid concentrations had a 40% reduced risk for breast cancer recurrence. (Journal of Clinical Oncology, September, 2005). Carotenoids are natural fat-soluble pigments found in certain plants. They provide the bright red, orange, yellow, blue and purple colorations found in the vegetable kingdom. Famous members of this family include beta-carotene found in carrots, spinach, kale and cantaloupe; lycopene found in tomatoes, pink grapefruit, watermelon, papaya, and apricots; and lutein, found in dark green leafy vegetables and blueberries. Since carotenoids need lipids to become bioactive in the body, salads full of these colorful vegetables should always be eaten with some type of fat. The liberal use of extra virgin olive oil on a salad is a great way to bring its carotenoids to life. Fruits and nuts is another tasty combination. The healthy fats found in the nuts will bring to life all the carotenoids in the fruits. Snacking on dried fruits and nuts satisfies the sweet tooth while loading up the body with carotenoids. For best digestion, eat the fruits first and then the nuts rather than eating them together. Almost all fruits and vegetables have anti-cancer activity. The superstars of the research labs are garlic and onions, cruciferous vegetables (broccoli, cabbage, kale, Brussels sprouts and greens), unbelliferous vegetables (carrots, celery, cilantro, parsley and parsnips), tomatoes, peppers, flax seeds, citrus, and soy. However, soy should never be eaten unless it is fermented in the traditional oriental manner and eaten as a small part of a mineral and protein rich meal. Spirulina and chlorella are heavily pigmented microalgae. They are a nutrient rich vegetable food source rich in beta carotene and many other carotenoids, each with power to keep away breast cancer. They contain fatty acids to speed these carotenoids to work in the body. Compounds from fruits and vegetables that have shown to help regulate the cell cycle include diindolymethane (DIM) from broccoli, apigenin from celery and parsley, curcumin from turmeric, epigallocatechin-3-gallate (EGCG) from green tea, resveratrol from red grapes and peanuts, genistein from soybeans, and silymarin from milk thistle. These are widely available as supplements. You are currently browsing the archives for the fresh fruit and veggies category.